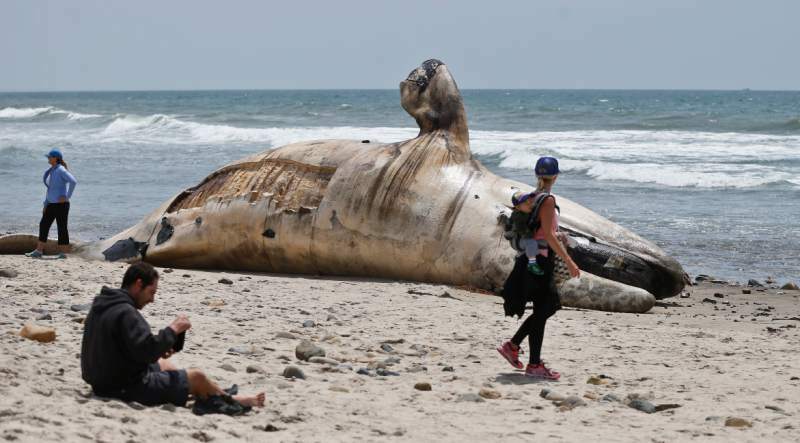 The carcass of a 40-foot gray whale, weighing perhaps as much as 30 tons, is making quite a stink as it rots on a popular California beach. Authorities are trying to decide what to do with the massive remains. Meanwhile, curious gawkers have come from miles away to see the strange sight. Most have positioned themselves upwind to avoid the powerful stench of the decaying beast. It seems odd to pay homage to a dead whale and perceive that one could somehow experience blessings for doing so! It makes much more sense to pay homage to a crucified, yet living Savior. The blessings we receive from Jesus are not imaginary—they are quite real! “For whenever you eat this bread and drink this cup, you proclaim the Lord’s death until he comes.”—1 Corinthians 11:26. This entry was posted in Christian Living, Communion Meditations, Current Events and tagged 1 Corinthians 11:26, beached whale, blessings, Cynthia Stern, illustration, whale rotting on the beach, worship. Bookmark the permalink.